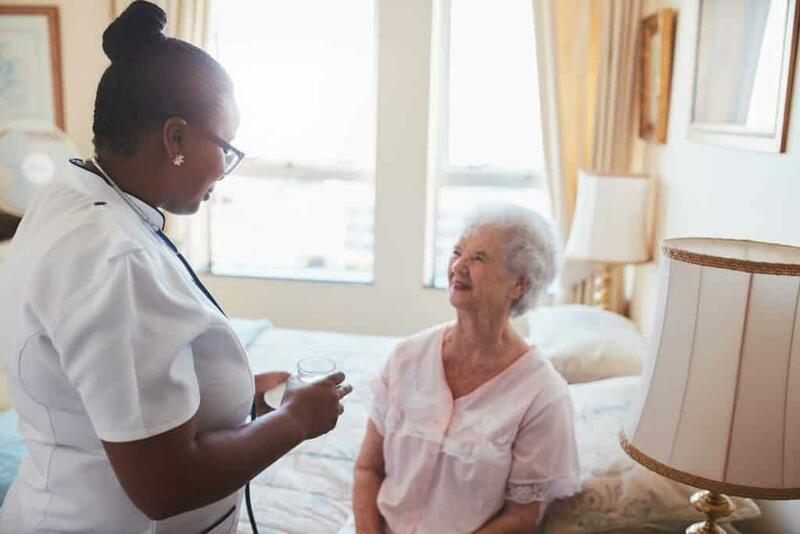 The growing elderly population on Long Island creates a huge demand for healthcare professionals, including certified nursing assistants (CNA). New York State defines a CNA as an individual who has completed an approved nursing education program and meet the certification requirements of the New York State Department of Health of Professional Credentialing. As important members of the healthcare team, CNAs provide direct patient care to residents in long-term care settings or patients in hospitals and other health care facilities. Although the work is grueling, those who enjoy caring for others will have a sense of satisfaction in positively affecting the lives of the people they serve. The certified nursing assistant program at the Long Island Educational Opportunity Center prepares students for an entry-level career in health. The curriculum includes classroom lectures, hands-on lab, and clinical practice in a real-world setting to prepare students for success on the state nurse aide exam. The program runs for one semester – 10 to 11 weeks. The New York State Certification Exam is not included in the cost of the program. Nursing assistant students enrolled in Eastern Suffolk BOCES’ CNA program can complete the state requirements for certification in just 25 classes. Instructors cover the theory and clinical skills graduates need to provide safe and competent patient care in a long-term or acute care setting. Students learn how to measure temperatures, check pulse and respirations, perform blood pressure checks, manage patients’ nutritional needs, and maintain aseptic techniques. Upon completion of all the classroom and clinical requirements, students will receive a BOCES certificate of completion to take the NYS Nurse Assistant Certification Examination. The program is available on a day or evening schedule. Day classes meet five days per week. For the evening schedule, students attend classes two days a week in the classroom and four evenings a week for clinical practice. Applicants must complete a physical exam and purchase the designated uniform. A high school diploma is required to attend this and another BOCES courses. A valid photo ID must be presented during registration. Tuition for the program is $1,540. Northshore CTI prepares individuals to provide nursing care and services to people of all ages. Graduates are eligible to take the New York State Certification Exam to work as a CNA under the supervision of licensed health care professionals. Students learn how to measure vital signs, provide personal care, perform aseptic techniques, and use their knowledge of growth and development to care for persons of all ages. They also learn safety and emergency procedures, observation and reporting, feeding and nutrition, personal hygiene, law and ethics, rehabilitation and restorative techniques, communication and reporting, and hospice care. Western Suffolk BOCES prepares nursing assistant students for the state exam in just three months. The state-approved program emphasizes hands-on training in fully equipped classrooms and laboratories at the school’s technology center. Instructors also stress effective communication with those who are ill. Interested persons must pass the TABE, complete a physical exam, possess good physical and mental health, and attend a personal interview. A new class begins every three months. The 200-hour program includes 140 hours of classroom instruction and 60 hours of practical experience in a clinical setting. The full-time day program meets Monday through Friday from 9:00 am to 2:00 pm for 2 ½ months. The part-time evening program meets Monday and Wednesday from 5:00 pm to 10:00 pm for six months. Students must achieve a final grade of 80% or over to receive a certificate of completion. Tuition for the program is $2,199 and does not include the cost of uniform, textbooks, and physical exam. The nursing assistant program at Nassau Community College is offered in partnership with the VEEB School of Nursing. The curriculum provides students with the technical skill to care for patients and the critical thinking and communication skills to deliver personalized care to those in need. The program sets the foundation for advancing into other areas of healthcare. Students learn patient care techniques, anatomy and physiology, nutrition, infection control, feeding, transporting, the administration of treatments, and legal and ethic policies. Students must complete the entire 120 hours of classroom instruction and clinical rotation to receive a certificate and sit the New York State certification exam. Applicants must be 18 years or older and have a high school diploma or equivalent, Tuition costs $1,60 and does not include background check fee, textbook, materials, certifying exam, scrubs, and stethoscope.